Let’s play a little game here. How would you feel if Wall Street CEOs collaborated on a video in which they quoted lines from Wolf of Wall Street? Would anyone find this amusing? Or acceptable? How about repellant? While House of Cards may not be an accurate depiction of Congress and the White House, it certainly reflects some real truths about our corrupt political system, and anyone who thinks it’s funny should probably have their head examined. The show, which tracks the machinations of a Washington insider and his thirst for power, is nihilistic to its core. It depicts a world in which evil is rewarded and good deeds are not just unpunished but rarely seen at all. Take, for example, Zoe Barnes, the young reporter who – SPOILER ALERT – meets an unpleasant end in the first episode of season 2. In a different era, her character would have been an idealistic young journalist who modeled herself after the Woodwards and Bernsteins of the world, eager to expose corruption and make Washington a better place. But in House of Cards, she is just another careerist, all-too-happy to violate the ethics of journalism for a good story. She is no better or worse than the corrupt politicians she is reporting on, and if she is the audience’s entry point into the story, we’re all in trouble. And it’s not alone. Right now, you can find a workplace comedy (Veep), soap opera (Scandal), and Shakespearean drama (HoC) each set in the realm of DC politics. Meanwhile, Congress’s approval rating has been sitting near all-time lows for two years now, and there is no indication that change is coming. In other words, we don’t expect much from Congress these days, so it’s become just another place to set a story. Still, we should not be surprised that members of Congress had jumped on the bandwagon; in an election year, they will go to great lengths to connect with voters, and pop culture remains a great way to do that. But we should still be disgusted, especially since President Obama has even claimed to be a fan. According to The Hill, “[l]ate last year, he even joked that he wished things in Washington were as ‘ruthlessly efficient’ as in the series, as he would get a lot more stuff done.” Yes, but little actually gets accomplished in HoC; even when bills do pass, like the education reform bill from last season, we have no idea what’s in it or how it is enacted. 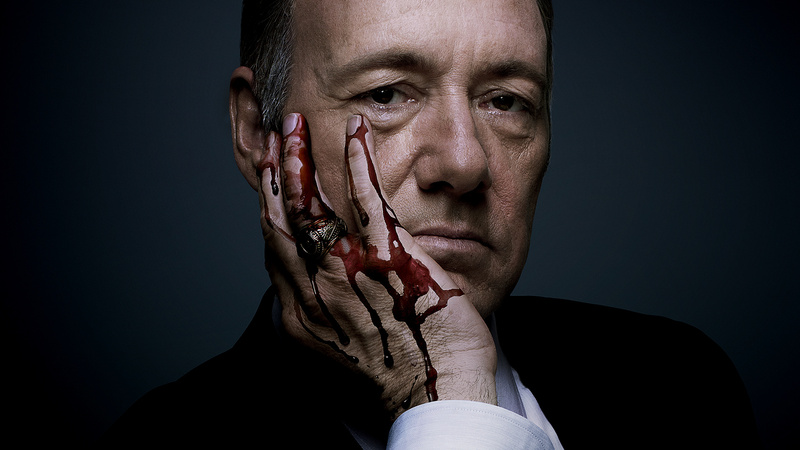 It’s merely a prop for Frank Underwood’s ascent to power. Now Obama’s words were clearly a joke, and his fandom of the show could easily be less than sincere, but there is still nothing funny in the comparison between House of Cards and the sorry state of affairs in Washington today.